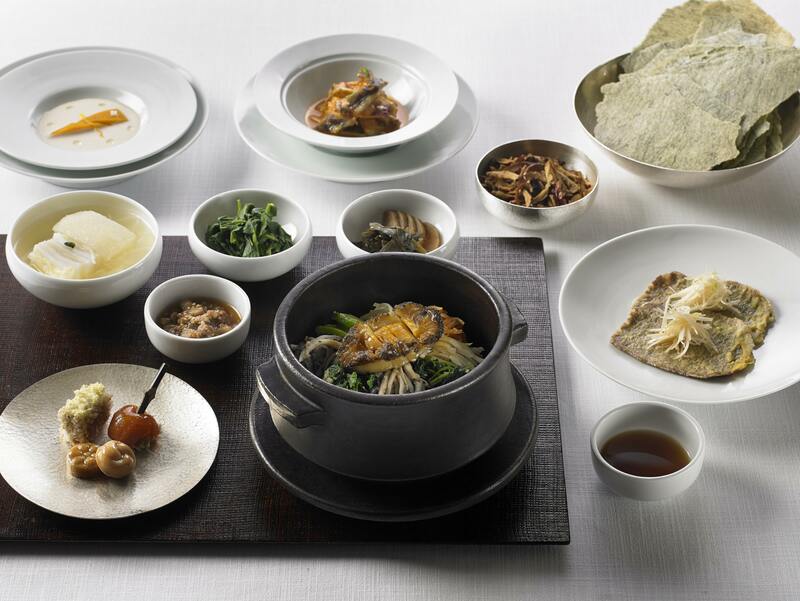 One of four fine-dining establishments at The Shilla Seoul hotel, the three-Michelin-star La Yeon rose 12 places on the 2017 list of Asia’s 50 Best Restaurants, reaching number 38, and provides the only example of traditional Korean cuisine in the ranking. Executive Chef Kim Sung Il is bringing a clean, modern flair to authentic recipes, insisting on fresh ingredients that enrich, lift and introduce a new dimension of taste to Korean dining. Sounds good to us. There are several menus offered for dinner: we plump for the 10-course set, consisting of eight pre-selected courses and two opportunities to select from a trio of dishes. And alongside the food? A classic wine and Korean liquor pairing, all in the name of research, of course. Although we’re hardly experts on traditional hansik cuisine, the execution of each dish is exemplary. Specialities, including royal hot pot, marinated Korean beef, and chargrilled keen’s gaper (a saltwater clam), are served tableside with a practiced hand, as various liquors and wines are presented and explained in hushed tones, alongside each course. The restaurant itself mimics the food served within its walls: discreet, elegant and unquestionably high-end. While restrained environs such as these may not be our personal preference, they suit the disciplined dishes to a T and bring an almost ceremonial quality to this majestic dining experience. One-Michelin-star Asian fare being so often a joy, it’s not hard to see why Kwonsooksoo has been awarded two stars. Its molecular attention to detail breaks down every element of traditional Korean cooking, while eschewing the overwrought pyrotechnics that pervade so many highly ranked meals today, and rarely strays from home-grown ingredients and local artisanal produce and wines. The restaurant focuses on dok-sang (the traditional Korean dining concept of serving each guest on an individual table) and traditional Korean customs. Thus, even its most outlandish imaginings, like its dessert extravaganza, remain rooted in traditional tastes and sensibilities. Opened 12 years ago and helmed by the meticulous Chef Kwon, Kwonsooksoo features condiments created in house, such as fermented fish pastes, to flavour seasonal dishes, including our personal favourite, dandelion noodle with perilla oil and smoked sea-bream sashimi. Between variations of decadent surf and turf, we took a dive for the drink pairing, which alternates between Italian Chiantis and Korean rice wines made to recipes more than 500 years old – a delightful start to an even more raucous evening. 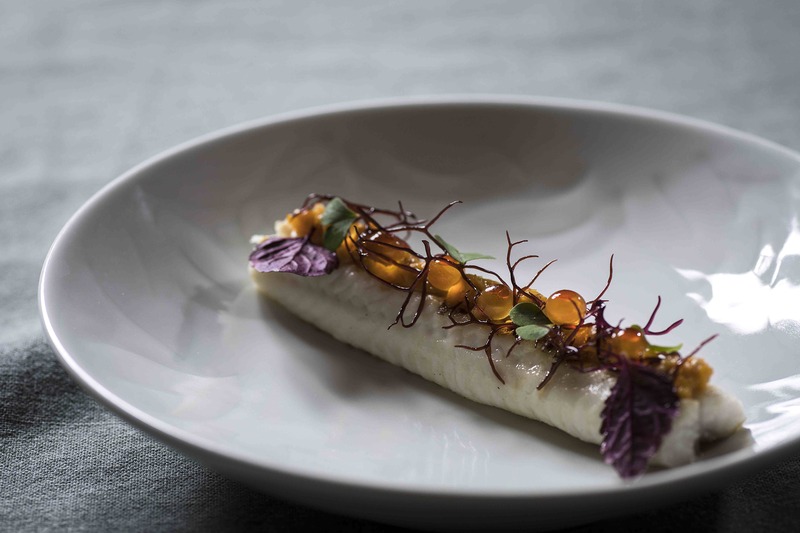 To eat at the one-Michelin-star Poom Seoul, set in the hills of Namsan, is to have the privilege of experiencing Korean cuisine that tantalises all five senses. It’s a contemporary interpretation of banga fare (traditional cuisine of the nobility in old Korea), which we enjoy while gazing down on the lights of Seoul. We’re seated in a space punctuated by tasteful traditional elements, including a chandelier composed of embroidery disks and a stone basin with floating pink blooms, to the accompaniment of traditional Korean music. Of all the restaurants specialising in Korean cuisine in Seoul, this is perhaps the one whose menu is most aligned with the traditional Michelin format. This is all not without reason. Helmed by former reporter-turned-chef Younghee Roh, Poom plates contemporary Korean haute cuisine, yet with an interpretation destined for globalisation. Transposing the original abundant Korean feast table into an eight-to-10-course menu, Chef Roh spotlights each ingredient throughout the four seasons with changing menus, freshness being the unwavering principle. 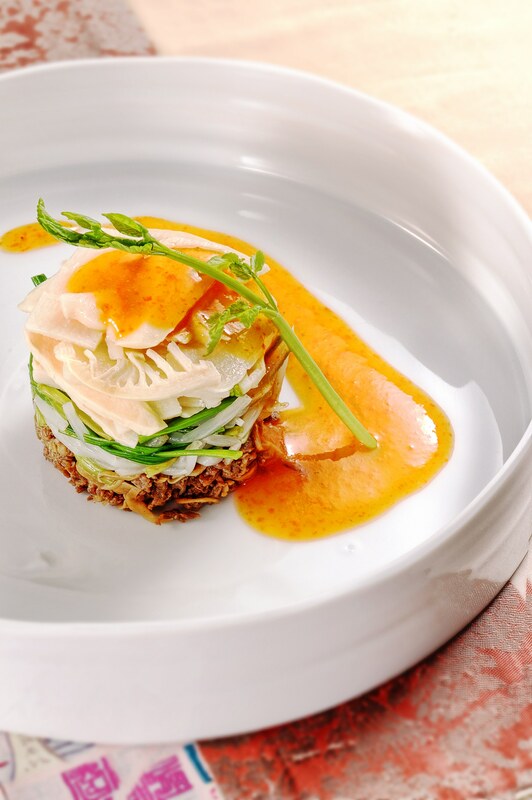 The autumn tasting menu leads with chilled delights from the sea, among which the nongeo, a dish of sliced raw sea bass marinated in soybean paste sauce, is without peer. 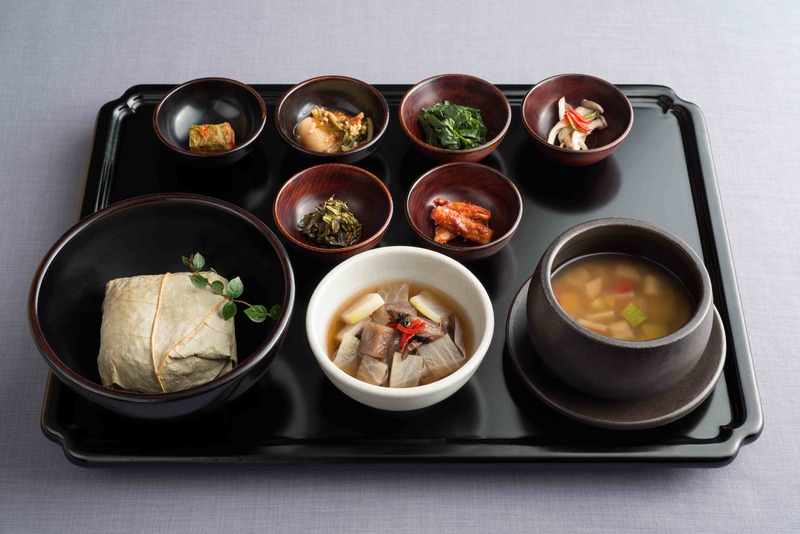 Heartier dishes include a crisply fried freshwater eel and grilled striploin from top-grade Korean beef. While many diners are drawn to the more familiar and more renowned Korean beef, the eel – bones extracted and seared to sweet, tender perfection – is a table favourite. We entered one-Michelin-star Balwoo Gongyang expecting to sate our greed. Instead, unlike most such experiences when we’ve tended to waddle away clutching our aching bellies, we finished our seven-course meal feeling refreshed and enlightened, That’s because we’d chosen the Maeum-sik tasting menu, which is devised to enhance awareness of mind. The concepts behind this are both tangible and mental. Earthly reasons first: balwoo gongyang (the formal name for Korean temple food, which has existed for more than 1,000 years) bans all meat and animal by-products, as no killing can be involved in the preparation of food. The five pungent herbs – garlic, wild leek, green onion, allium and asafoetida – are also banned. Dishes are made with ingredients that follow nature’s seasonal cycle and no chemical additives are allowed. The cerebral reason is to curb greed and treat food as a necessity on the path to enlightenment. With all this in mind, the seven-course meal expertly drew out natural flavours and enabled each facet to sing. Fermentation plays a crucial role. Persimmon vinegar aged seven years brings complexity to cucumber jelly, while fermented tofu paste makes the perfect accompaniment to fresh summer vegetables. Those who decide to bypass this restaurant, wrongly imagining that blandness is the order of the day, miss out on a series of crisp yet soft spicy pancakes made with vegetables grown by the Jogye Order of Korean Buddhism, as well as a pungent, delicious soybean paste stew with lotus leaf-infused rice that rings with a clarity of flavour rarely found.